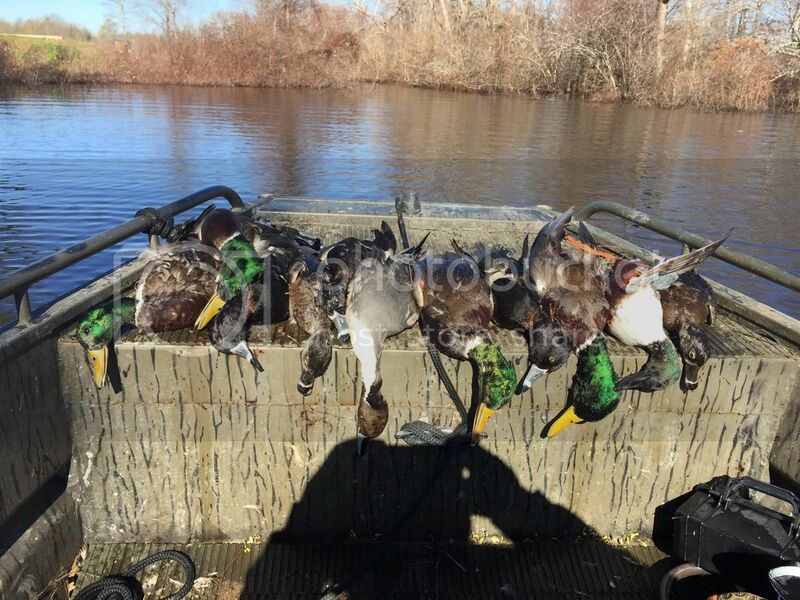 Discussion in 'Bird Hunting' started by Wildfowler, Dec 16, 2015. Anybody else around here besides me like to duck hunt regularly? 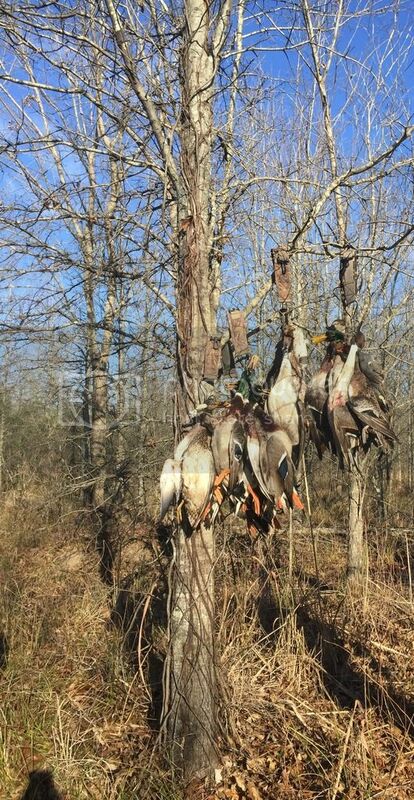 This year is shaping up to be the best duck season I've ever had since I started back in 1982. 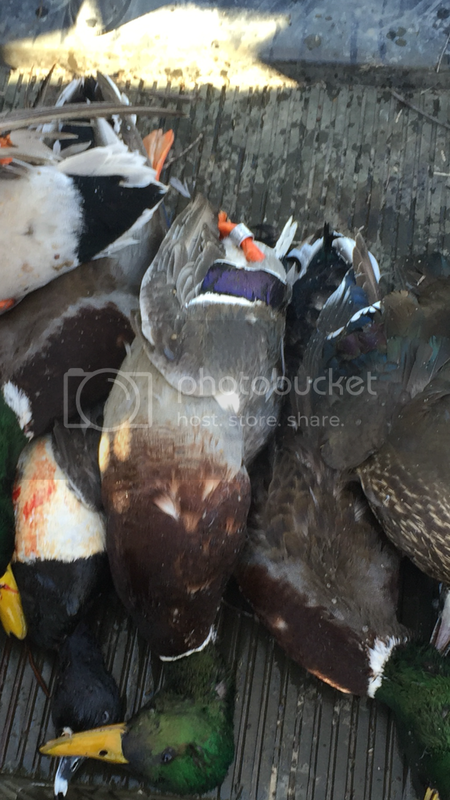 We've only missed killing full Mallard limits on two hunts so far this year. 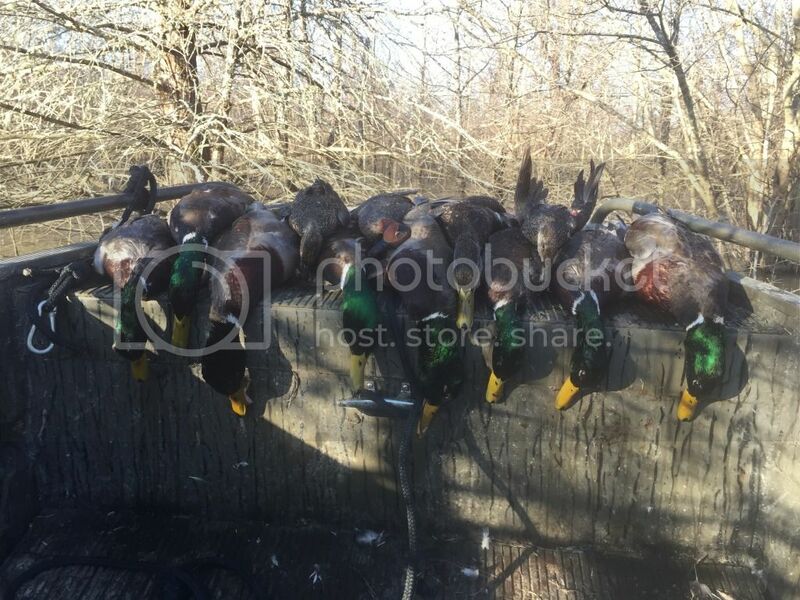 Three of us hunting today killed every Mallard we pulled the trigger on. Nothing got out. Had a group of five came in and killed all five of them. I like to hog hunt, you can do it year-round and for the most part I do. 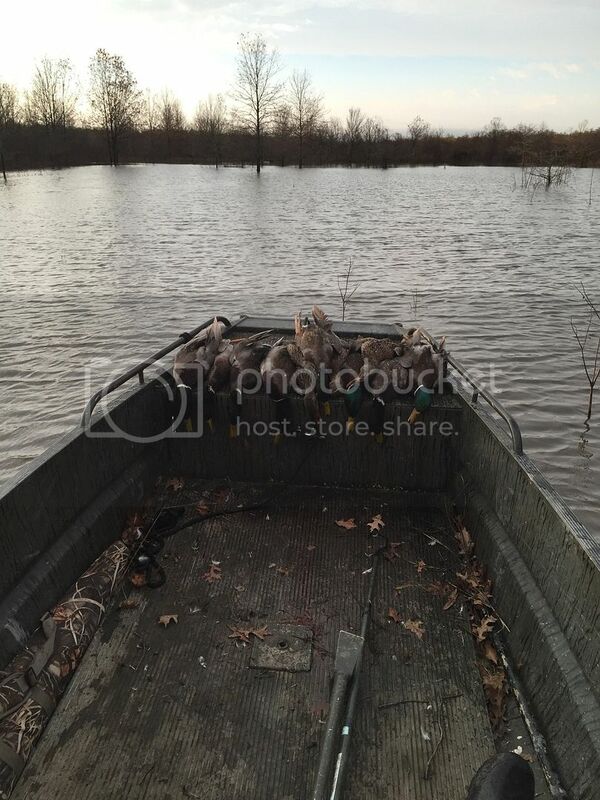 But I don't do it this time of year, because duckhunting like this is too much fun. 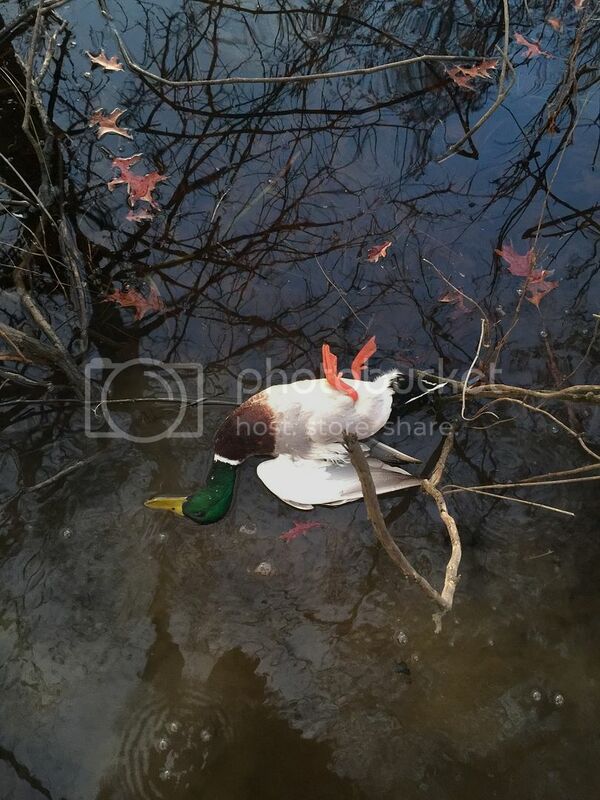 Duck hunted only once in my life. Had a ball, not much flew in, but I ended the day with 5 ducks. 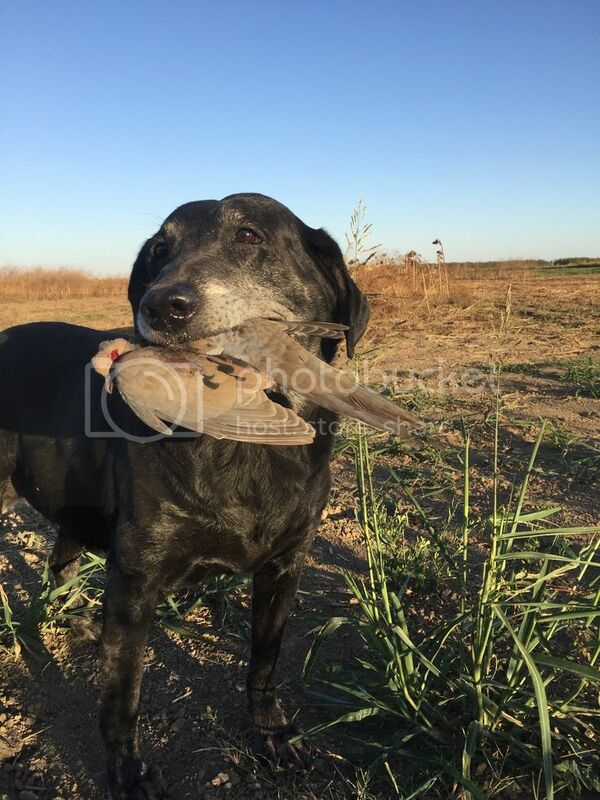 Absolutely love duck hunting, that black lab brings tears to my eyes...I miss my labs and all the days afield after ducks/pheasants/quail and doves. Haven't had a good place to go since moved to Texas. Me and my nephew in Montana a few years back. Chopperdrvr, Wildfowler and Ratdog68 like this. She's nine years old and still thinks she's a puppy. My nephew prefers to wing shoot with his longbow, if he misses, I shoot but he gets first crack and connects sometimes. BDubbs, Curly Shuffle and Lancer like this. Pintail (the white bird in the middle) are unusual in wooded environments. We normally only get a couple per year. Curly Shuffle and RattlesnakeDan like this. We're still hard after them. Saw one of these for the first time in a couple years today...... I'm not wearing it unfortunately. Shot more of these this year than last couple of years combined too!!!! As seen here when we got four limits of them. 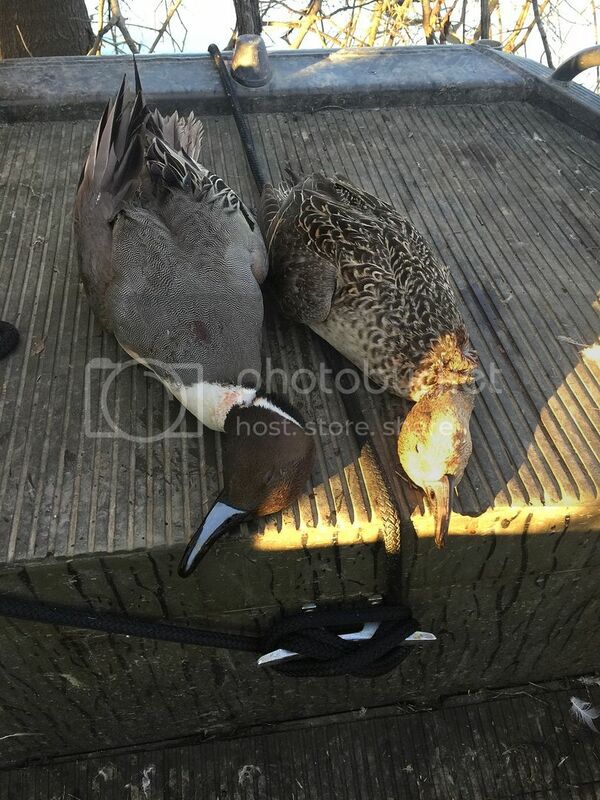 I don't think I've ever been on a hunt where we had to stop shooting pintails because we reached the limit. Curly Shuffle, Chopperdrvr and RattlesnakeDan like this. Awesome! You didn't get the band? It wasn't in the cards for me. This is only about the 5th one I've even seen killed. A season or three can go by without even seeing one fly by. I'll bet I've seen less than 25 in my life. 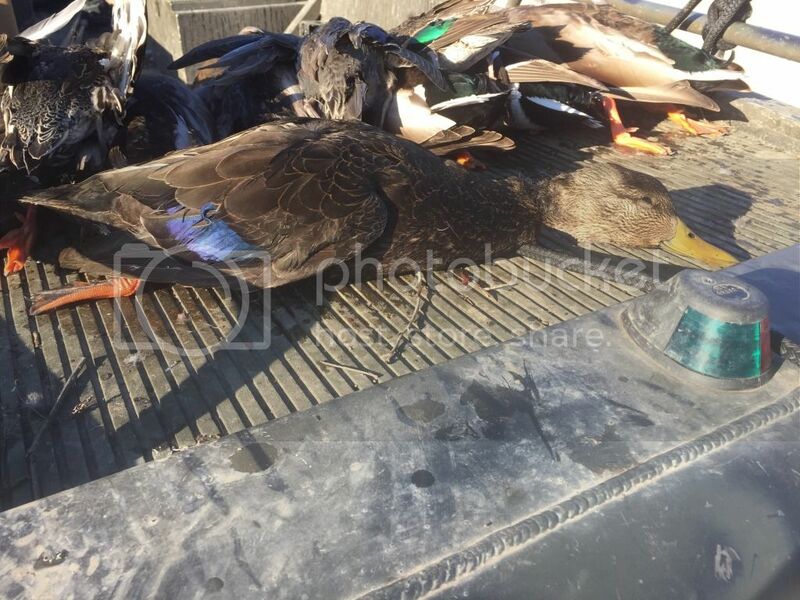 Today, this drake black duck can in on a string and made a spectacular ending to a great hunt. I know where I'm going for pot roasted duck! Weather is finally gonna move the masses of them south. 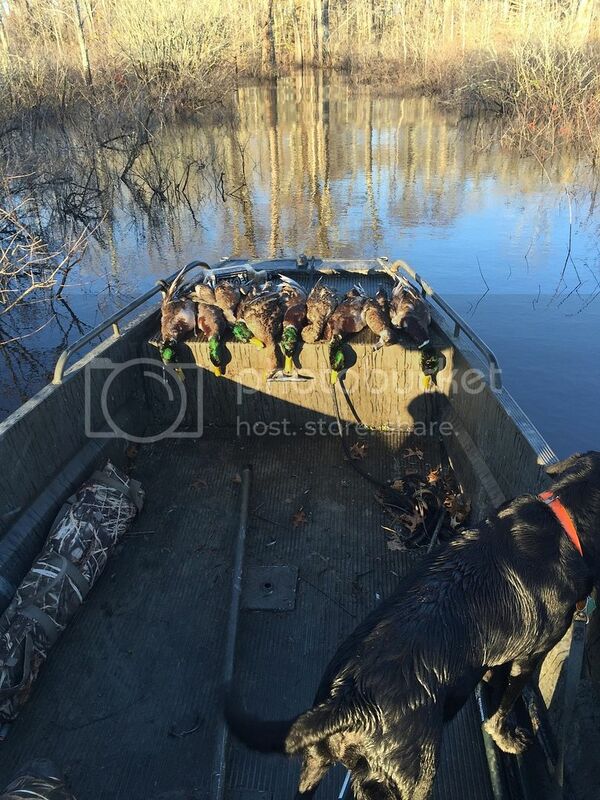 I love duck hunting! The only thing that compares is hog hunting with a thermal! BDubbs, Wildfowler, Chopperdrvr and 1 other person like this. wouldn't mind trying it. can i shoot them at night with a 308? No sir that mind get you a night in the pokie!! I agree sir... Shorting em at night while they glow would have to be much more entertaining than getting up soooo early and wading freezing water to kill em! I guess this sub forum doesn't get accessed very often? I'll just add to this one rather than creating a new topic. Anybody still dove hunting around here? We've been having two or three weekly hunts since the season opened Labor Day weekend, and have been doing really well this year. Tomorrow is the last day of our first season. EGarza04, Chopperdrvr and Ratdog68 like this. I had permission on land but never even went. Some years are like that. Heck I was going to hog hunt tonight but tried to cut my leg off with a machete today so need to keep it elevated. Maybe tomorrow. However... that ol' dog is doing a favorite pass-time still! !